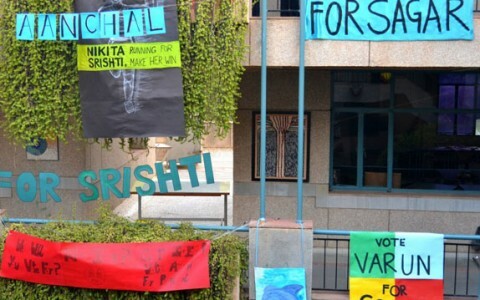 The Moulsari Campus has a well-established house system with four houses – Himgiri with the colour yellow, Sagar in blue, Vasundhara in red and Srishti in green. All students are placed in one of these four houses when they are admitted to the school. 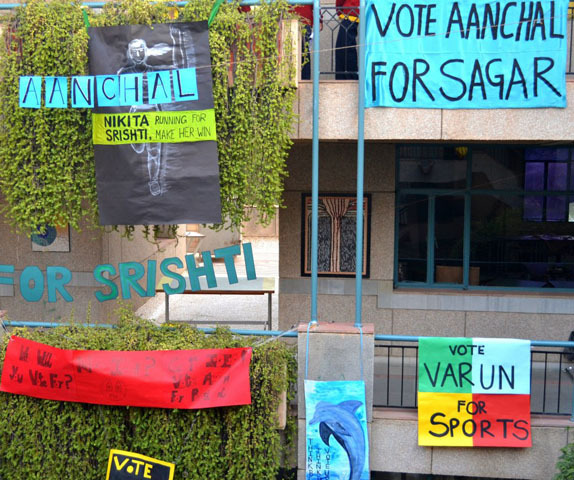 The aim of the house system is to inculcate team spirit, the spirit of cooperation and the spirit of competition. It is expected that students will learn not only to cooperate with one another to promote the good of all; they will also compete with one another and set high goals for themselves. It is a system to build the qualities of leadership in the child. 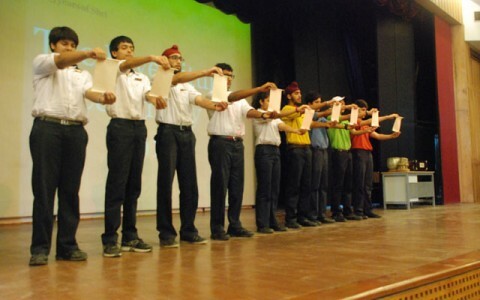 Throughout the year, the members of the four houses compete with one another on stage and on the sports fields, building up their house points. The winning house is declared on Sports Day. 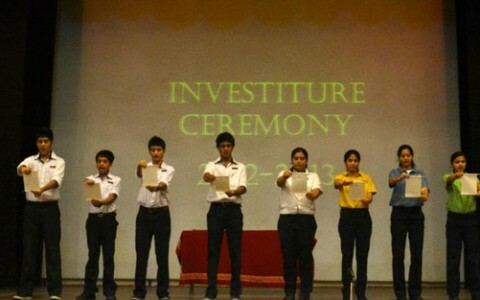 The Senior School Student Council is elected from a group of nominated students. They must believe in and uphold the four core values of the school: Integrity, Sensitivity, Pride in One’s Culture and the Pursuit of Excellence. They must possess leadership qualities such as the ability to take the initiative, the capacity to implement policies and the strength to take responsibility. They must be role models for other students to look up to. They must actively participate in house activities and be academically sound. 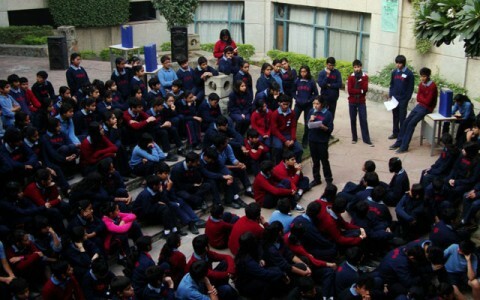 The Student Council consists of elected captains and vice-captains as representatives of the four houses, a Head of Sports and 2 sports secretaries, a Head of Co-curricular Activities and 2 secretaries, an NIOS representative, and 2 nominated representatives heading the Environment Initiatives and the Editorial Board respectively. At the apex of this body is the Head of Student Council. Opportunities for student leadership are numerous at The Shri Ram School Moulsari and they are among the best ways to get involved so that each student feels that s/he is making a difference. All children are potential leaders and at the Moulsari campus, we work to unlock this potential through a system of graded activities, inputs and exposure. 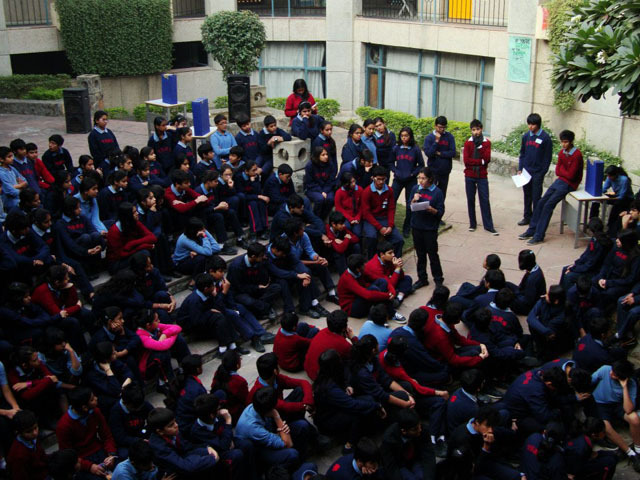 The leadership Programme is an initiative of the Nand and Jeet Khemka Foundation, an NGO that runs the Global Education Leadership Foundation (tGELF). 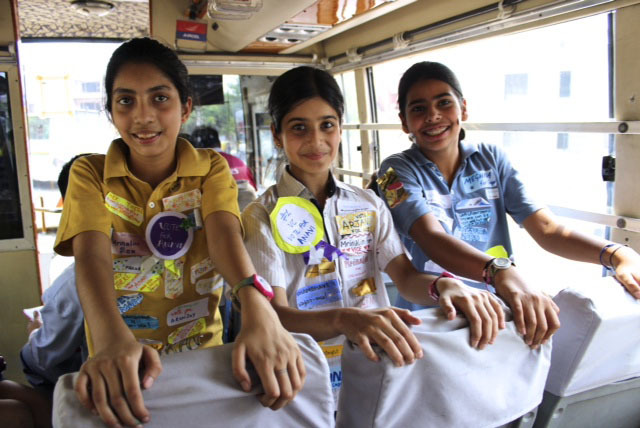 tGELF has partnered with over 45 schools pan India to run this programme and The Shri Ram School, Moulsari Campus, is considered their flagship school, where the programme has been running successfully for 5 years now. The programme begins in grade 8 and for 3 years, from grade 8, through to grade 10, all the students undergo it. Ten percent of them are selected to be a part of the Leaders’ Club in grade 11. Once they become a part of the Leaders’ Club, the emphasis shifts to giving back to the community, in terms of a social service project which they undertake in grades 11 and 12. The Youth leader Competition is a six month long, intensely competitive process which culminates in a grand finale during the Harmony Festival. Here, the students work on a social project close to their heart and finally present their journey and learning in front of a panel of judges. The winners get the opportunity to go for a summer programme to an Ivy League college and an International leadership camp. For two years out of three, our students have won this competition. 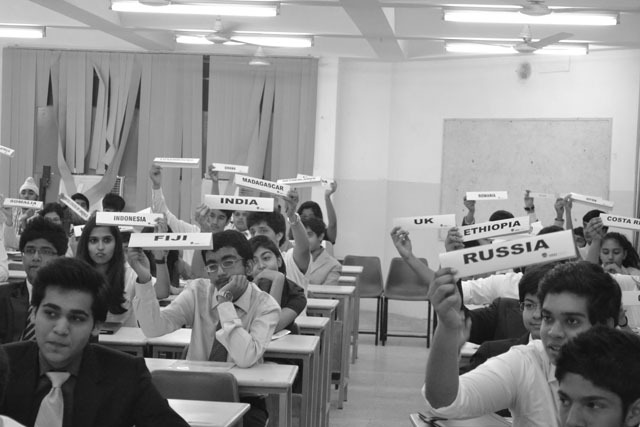 A model United Nations aims to train students about current international events and the art of diplomatic give and take via an academic simulation of the working sessions of the august body of the United Nations. 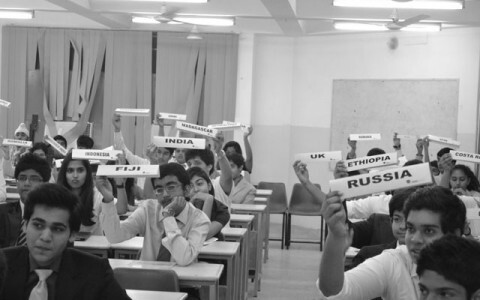 The objective of the Moulsari Model United Nations (ShriMUN), which is an annual intra-school event, is to train the students in the procedures of an MUN. This includes conducting training sessions, starting from the very basics, such as an introduction to the UN, and its role in international politics today. Delegates representing a country in any council. Members of an Executive Board. 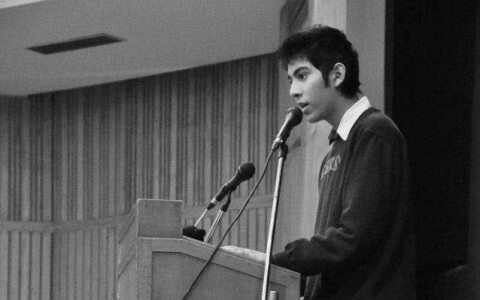 It is the responsibility of Class 12 students to supervise and oversee council proceedings, and to initiate debate among delegates. Messengers who act as the bridge between delegates and the executive board, by transmitting messages. International Press who include (a) Reporters, who report on each council’s proceedings and highlight the main arguments and developments of the day, (b) Photographers and videographers, who give visual highlights of the proceedings, and (c) Backstage editors, who bring out the MUN journal for each day.